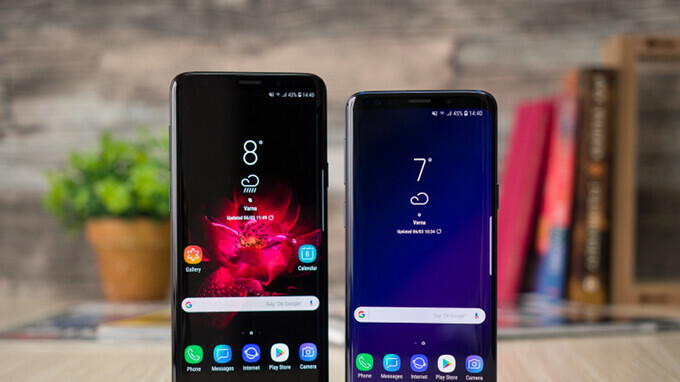 Apparently, many Galaxy S9 and S9+ units received a brand new feature along with the update that included the May security patch. A new Call recording app is now available for owners of Samsung's flagships, but since the action of recording a call without consent is against the law in some countries, the feature hasn't been pushed to all Galaxy S9/S9+ units. For the time being, we know for sure that the call recording feature is available on Galaxy S9 and S9+ devices in the Netherlands, India, Romania, Russia, Spain, Switzerland and the UK. The feature is likely to make it to other countries in the coming weeks, but Samsung will not roll out call recording in those countries where it's illegal to record a phone call without consent. The updates that contain the new call recording feature have been tagged with build numbers G960FXXU1BRE5 and G965FXXU1BRE3, depending on the phone. If you've already received one of these new firmware updates and can't find the call recording option in the in-call UI, it means that it's probably illegal in your country. https://play.google.com/store/apps/details?id=com.tohsoft.call.autocallrecorder.pro You mean like this app? Works fine on my Stylo 3 Plus. thanks but, already have call recording thru googlevoice.